The PS3 now has an official YouTube app which should make watching videos on the console a much less painful experience. 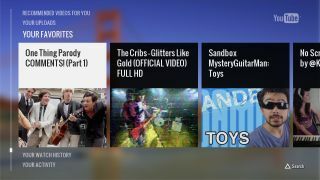 Although you could access YouTube through the PS3 browser, the app brings with it improved instant search and signing in to your YouTube account means that app can pull in your subscribed channels. You'll also be able to pair your iOS and Android devices to the app, allowing you to use your phone or tablet as a remote control instead of laboriously using the PS3 controller as a mouse. The far easier process means you can just find the video you want on your phone and tap a button to play it on the TV screen. The free app is currently rolling out to the PlayStation Store under 'My Channels' in North America. There'll be a longer wait for the rest of the PS3-owning world, although Google promises that it will "keep improving the PS3 experience" before bringing the app to more countries "in the coming months".